Companies have invested almost $2 billion of venture capital in new technology in the last three years, Deloitte research shows, spawning hundreds of new tools in areas like continuous performance management, feedback, intelligent recruiting, virtual and augmented reality, assessments based on artificial intelligence (AI), well-being, and more. And HR professionals are buying these systems. As these new technologies enter the workplace, a major theme has emerged. The most powerful, useful tools for HR today are more than "systems of record" or even "systems of engagement"; they are what I call "systems of productivity." In other words, they help employees work better. For years, vendors built powerful systems to capture resumes, track and manage learning, analyze and store compensation history, and manage benefits enrollment. All these systems, including HR platforms for payroll, remain critical, but they're not sufficient. In other words, we are moving well beyond these automated core systems to a new set of tools that facilitate modern work, learning and management. Companies can now likely buy a cloud human capital management (HCM) system which automates most of the core HR practices in the organization. These systems are available in all shapes and sizes, and most will handle the core employee processes, have mobile apps and have an easy-to use "digital HR" interface. But beyond this, when your employees need an onboarding solution, a learning solution, an assessment tool or a new way to manage goal-setting, you will find dozens of innovative new products on the market. These systems are typically AI-driven, include embedded analytics and are as easy to use as a consumer website. Many companies are experimenting with new learning platforms, video-interviewing tools, chatbots for recruiting, pulse feedback and sentiment analysis systems, wellness tools, and next-generation performance and goal-setting platforms. In every single case, I find positive results and examples of success. This next generation of technology has been designed for the full workforce. These new tools are built to be productivity enhancements, not HR platforms. And people are using the tools because they genuinely believe the technologies will make their work lives better. 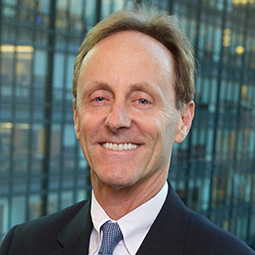 Josh Bersin is founder and principal of Bersin by Deloitte, Deloitte Consulting LLP. He is a published author on the Forbes website; is a LinkedIn Influencer; has been quoted by Bloomberg, NPR and The Wall Street Journal; and speaks at industry conferences and to corporate HR departments around the world. Follow Bersin on Twitter @Bersin and LinkedIn at linkedin.com/company/Bersin-by-Deloitte.